With today’s modern quilting, there are many ways to update traditional blocks and give them a new look. The Log Cabin block is one of my favorite traditional blocks that I love to update. There are so many ways to change the look using the same basic technique. In this photo, you’ll see three ways that I modified the traditional Log Cabin block to give it a more modern look using improvisational piecing. I’ll be sharing these variations in a new Spoonflower workshop. If you’re in the Raleigh-Durham, North Carolina area and interested in practicing the Log Cabin block three different ways, check out the workshop here. Registration is open here. If you’re not in the area or can’t take the workshop, but still want to try your hand at a version of the modern Log Cabin, check out my improv Log cabin block tutorial. If you still want more info, check out the Modern Log Cabin Quilting book by Susan Beal. It’s filled with lots of great info on the Log Cabin block and ways to use it in quilts, bags, pillows and more! I’ll be back soon with another way I’ve modified the Log Cabin block in the I-spy quilt I’ve been working on. Click here and here for a peek at a few blocks. Stay tuned! Nicole I love your blog! Your projects are always fresh, fun and easy to understand. 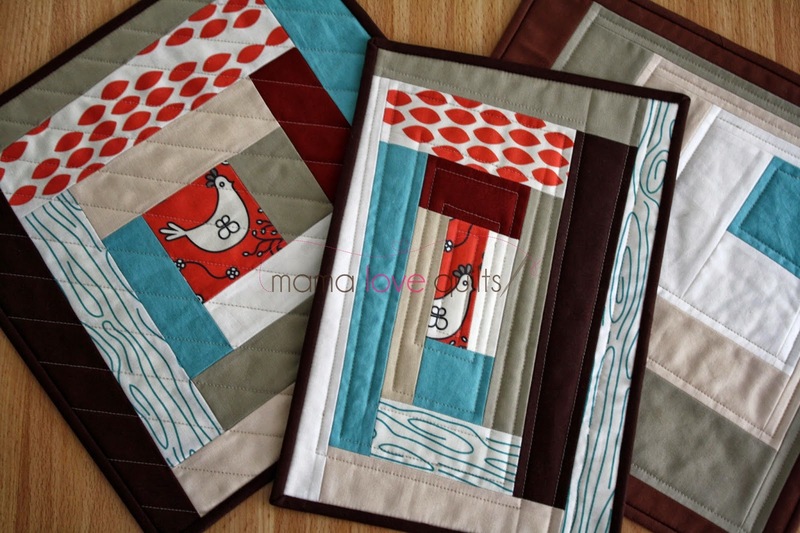 I love modern quilts and these blocks are perfect; your stitching is wonderful! Thanks for sharing your talents and ideas with all of us out here in cyberspace. I love the look of these and will be checking out your log cabin block tutorial – hope the spoonflower workshop goes well – lucky people that get to go to it! I love your style. You, my friend, have real style. I'm such a sucker for a good log cabin…! I'll have to try these ones out since it seems I never tire of variations on the theme. Gorgeous, Nicole! Great blocks.Your log cabins blocks are also very good and i am very inspired from your post.